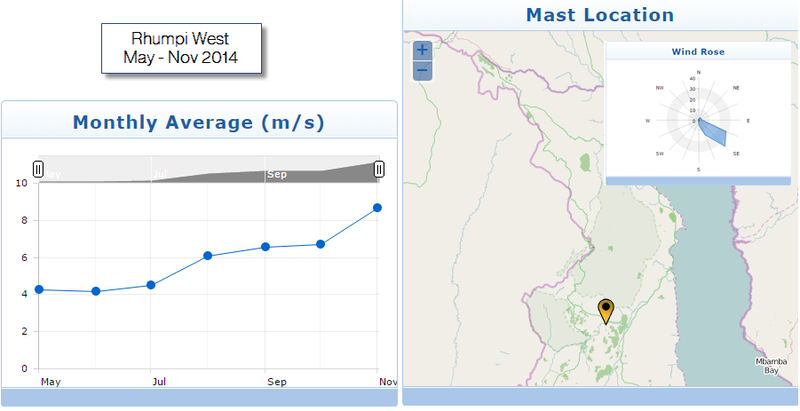 In May 2014, the WEPP Programme installed two meteorological (met) masts in Malawi at two locations in Malawi. Since then the monitoring equipment has provided detailed data on wind speeds, direction, temperature, etc. that will be later used to complete then an energy yield report (see WEPP4). Whilst a full year of data is needed to do the analysis (this is now month 7), I’ve managed to have a brief look at the data today using SgurrEnergy’s SgurrDataPortal – which provides nearly live data and graphs. Below are a few clips of the data that we currently are recording. 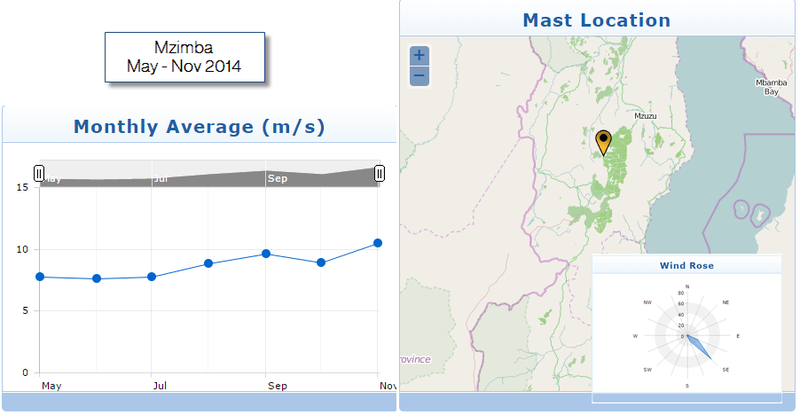 As you can see there are some encouraging numbers with wind speed at Rhumpi West and Mzimba in November around 8.6 m/s and 10.5 m/s respectively. This is high, although as shown in the summer months, the overall yearly averages may be lower.